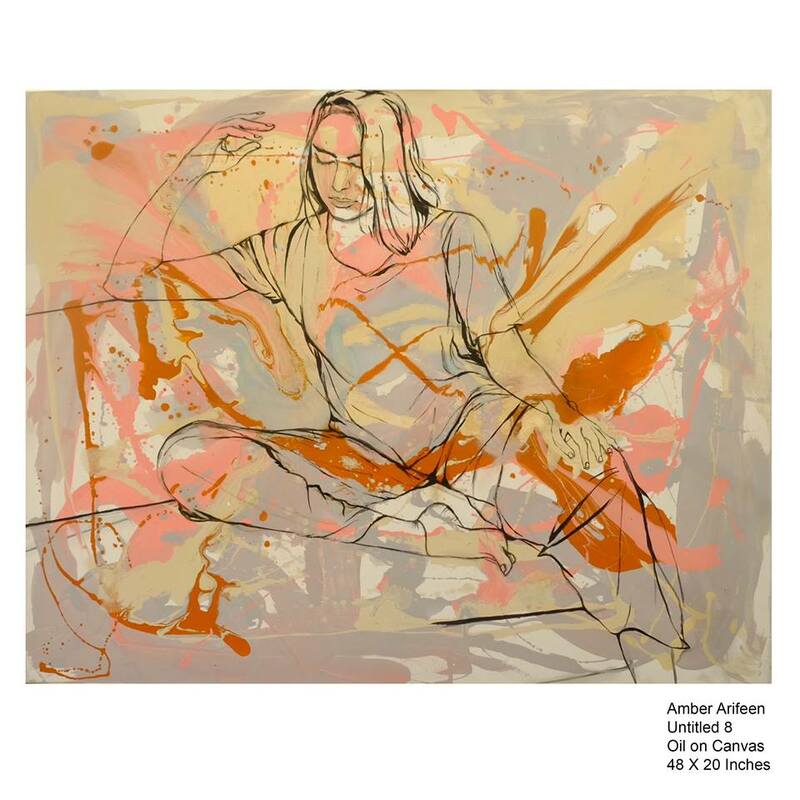 The exhibit Juxtaposed Femininity displayed at My Art World on the 16th of August, 2018 reveals some of the many facets of being a woman. The group show consists of the works of two artists Amber Arifeen and Sana Saeed that share their own ideas about being a female through their respective colour palettes, compositions and the entirety of their subjects. 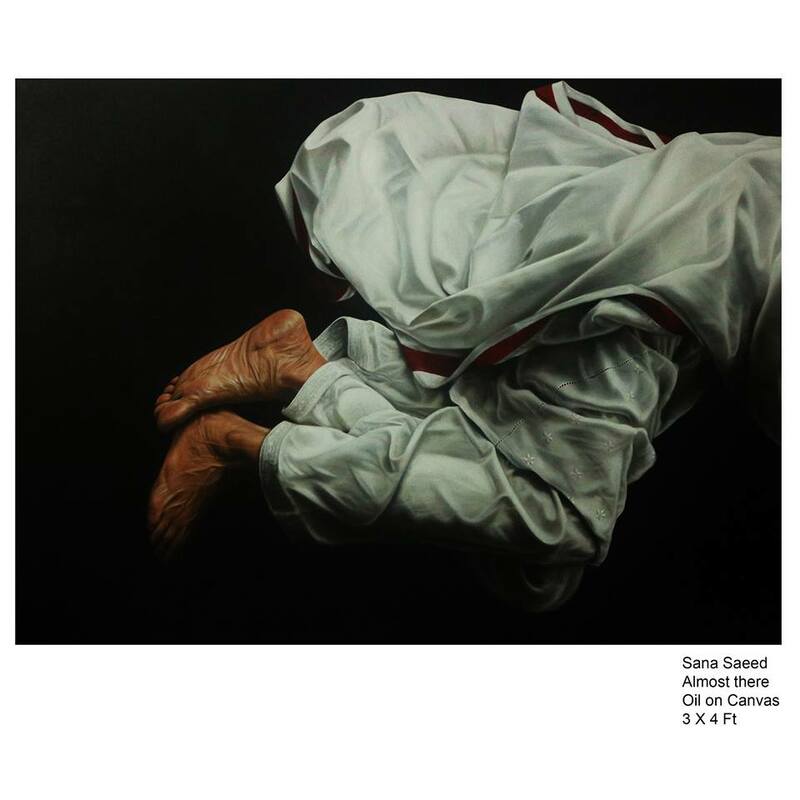 Saeed’s paintings possess a more somber countenance where as Arifeen’s work has a more whimsical feel. Saeed’s figures though calm and unmoving on the surface, still reveal a state of unrest; a sense of repression, though one can only speculate. Titles such as “Living still” and “Almost there” further accentuate the idea of going through life rather than living it. 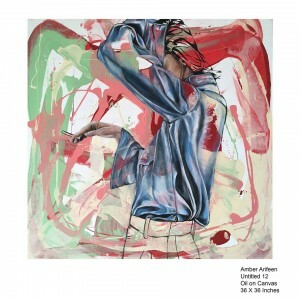 The artist’s ability to portray this inner conflict or disturbance is truly remarkable. 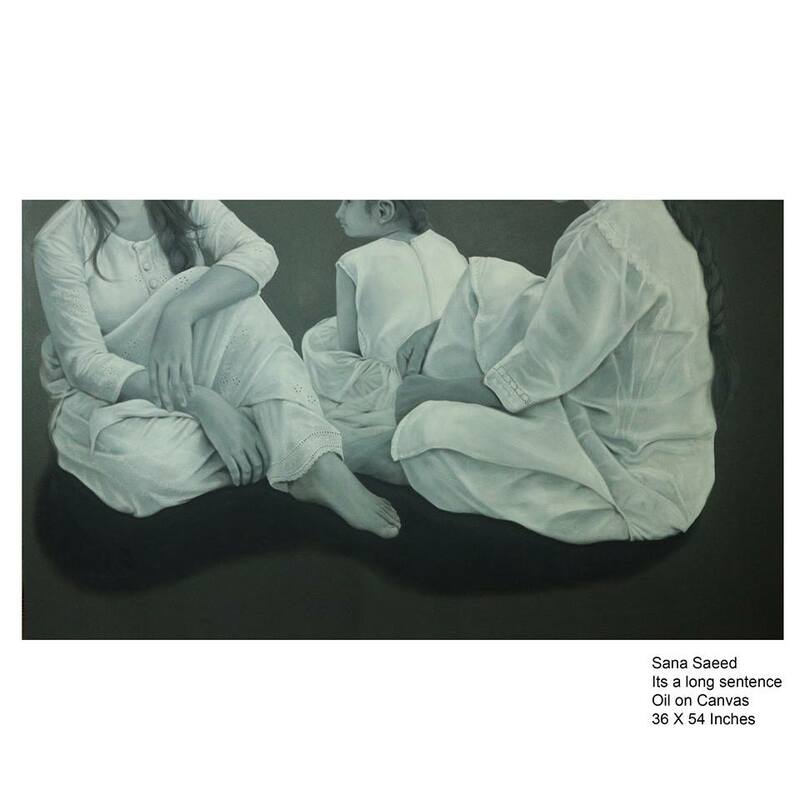 Thus, Saeed through her painting prowess and emotionally charged imagery makes a strong case for hyper realistic painting as being as relevant as ever. Her choice of subjects being familiar and the artist’s ability to carefully craft imagery makes her characters life like and highly relatable. From the artist’s work stems varied thoughts. 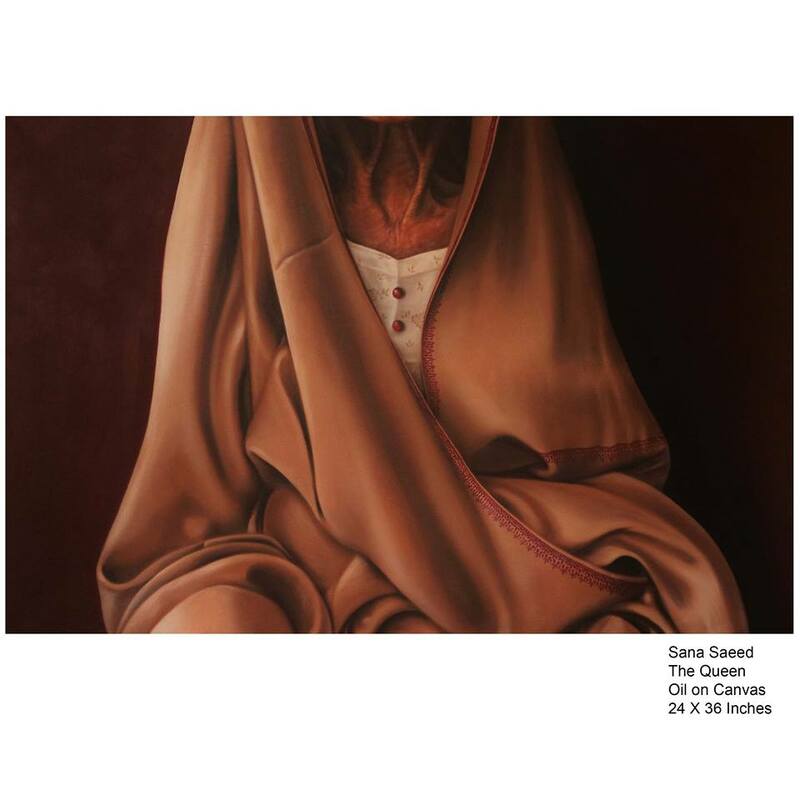 Saeed’s work is suggestive of a feeling of vulnerability alongside a contradictory sense of authority, where an old feeble woman is portrayed as the queen. This also stirs up the subject of of a local household where the elder is revered. The pictures contain the weight of the experiences or suffering of the subject; the life lessons that have sculpted their character, despite their seemingly tranquil bearing. Saeed has time and again been recognized for her painting ability- a skill when implemented upon the canvas looks like a true labor of love. Saeed’s painterly expertise as well as great attention to the characters she captures truly acts as a magnificent experience. The artist feels “to live is to leave traces” whether in the form of physical or psychological marks. 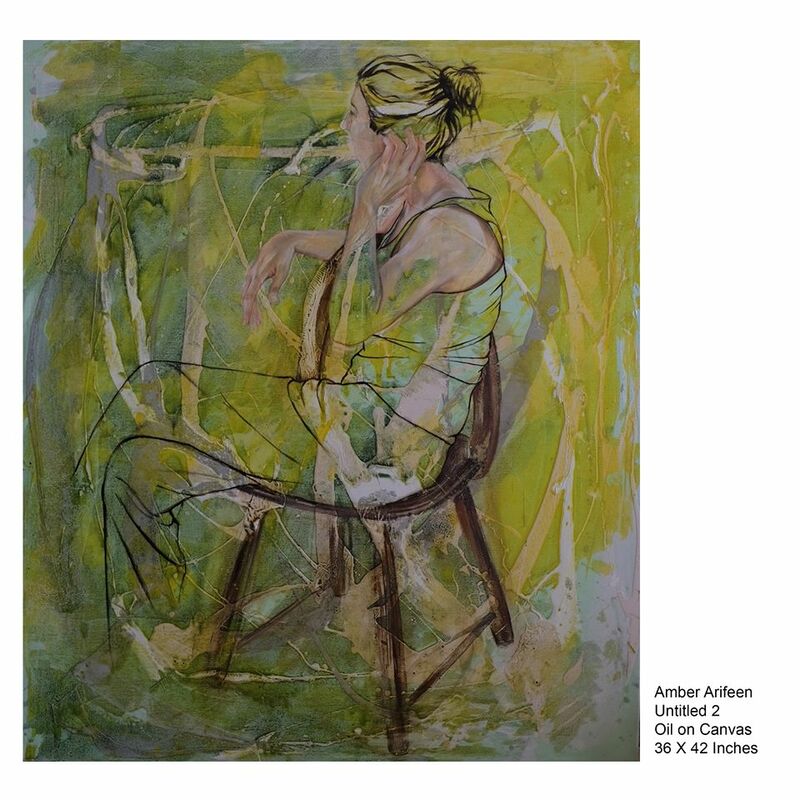 Thus, her paintings preserve the memory of these individuals and the possible traces they have left in her life. Arifeen’s characters assume a more casual demeanor. The whimsical paint splashes give the work a lighter air making the viewer simply look upon the characters as any individual they come across on a daily basis. Arifeen’s figures are very much alive, with their casual and less than composed manner. The artist seems to debate the possibilities of what can be considered as “feminine”. Though her way of trying to show the modern or urban woman holding a cigarette or dressing in a particular manner might be typical she is still successful in igniting a debate about how a woman “should” look or act. The show not only reveals the multiple layers that is the woman but also covers different time periods in their life. Though the women in the imagery are different but the collection can be seen as a chronology of the female in a conservative society as she starts out as rebellious and bold but is made to eventually settle into a more “suitable” and “agreeable” lifestyle according to the requirements of the society.